Buffalo chicken gets a ton of rotation in our house. I love all of the flavors and of course chicken is always a big hit. 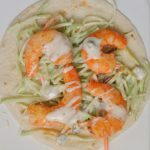 But, I was searching for something different the other night and decided to change it up and make buffalo shrimp tacos in place of our regular chicken version. The great thing about cooking shrimp during the summer is that it cooks super fast so the kitchen doesn’t get heated up very much. The rest of the ingredients don’t really require cooking so the meal comes together really fast and keeps your house nice and cool. Heat oil in skillet over medium high heat. Season shrimp with salt and pepper. Add to skillet and cook for 4 minutes. 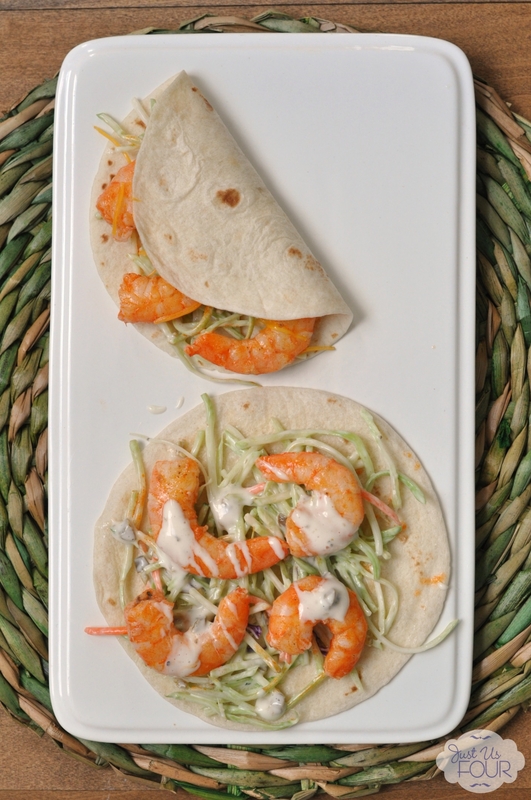 Turn over and cook for an additional 2-3 minutes or until shrimp are fully cooked. Add hot sauce to bowl. 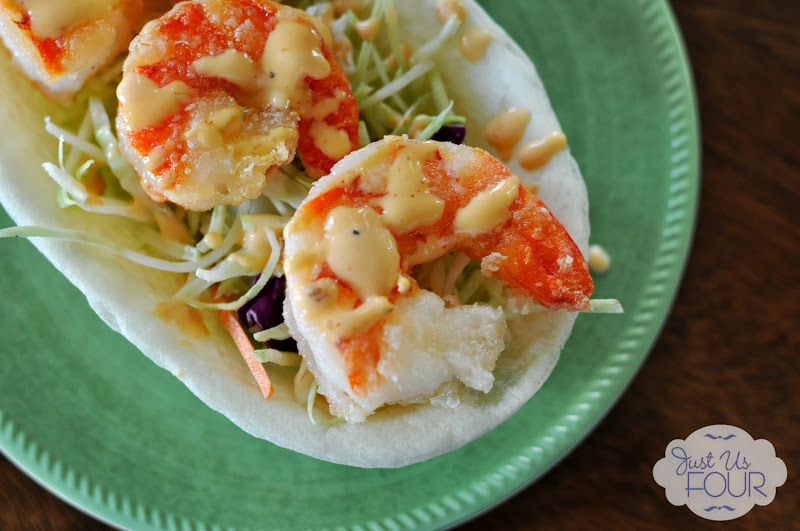 Toss hot shrimp with the hot sauce. In a medium bowl, combine broccoli slaw and dressing. Stir well to combine. 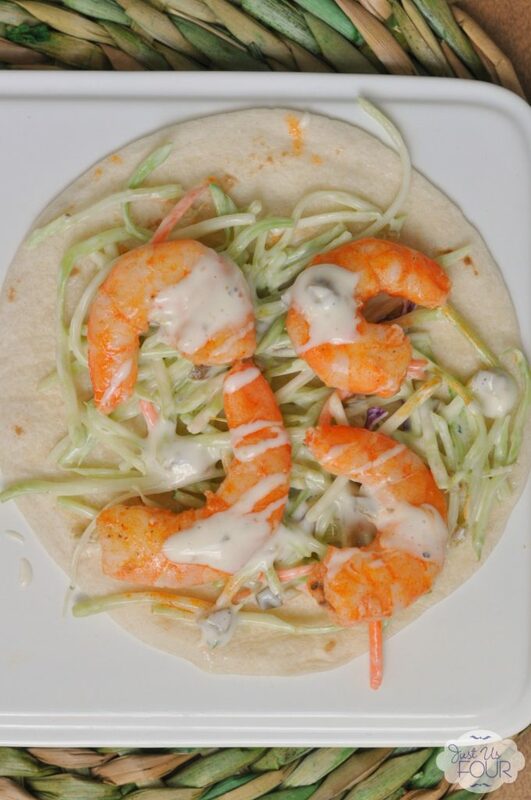 Divide broccoli slaw between the tortillas. Top with shrimp. I love the flavor of these tacos and the broccoli slaw adds the perfect amount of crunch. I used ranch dressing in mine and then sprinkled a little blue cheese on top because that is what I had on hand. You can easily use just ranch if you don’t care for blue cheese or switch out the dressing if you really want a strong blue cheese flavor. 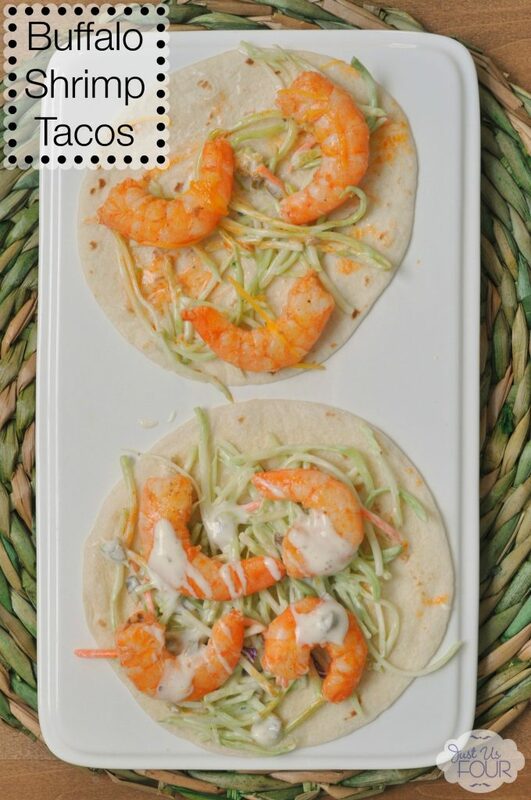 What is your favorite taco combination? 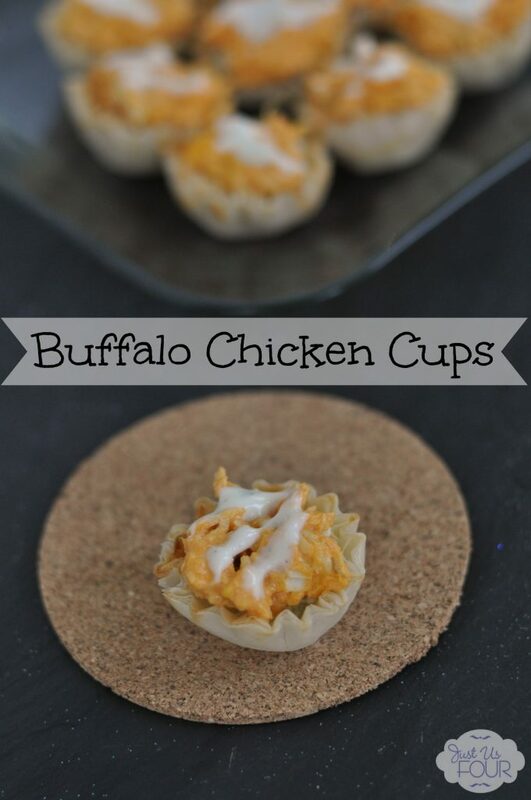 Are you a big buffalo fan? These look delicious! I bet these are a great way to get my husband to eat shrimp!